TUESDAY, Jan. 12, 2016 (HealthDay News) -- People with a stronger connection between two parts of the brain are financially cautious, while those with a weaker connection are more likely to make risky bets, new research suggests. Understanding this single brain connection could lead to more effective interventions for people with gambling problems or addiction, the study authors added. "Most people love the small chance of a huge win, but people vary. Some people really, really like it. But people who have a stronger connection don't like it as much," said Brian Knutson, an associate professor of psychology at Stanford University, Palo Alto, California. "Activity in one brain region appears to indicate 'Uh oh, I might lose money,' but in another seems to indicate 'Oh yay, I could win something.' The balance between this 'uh oh' and 'oh yay' activity differs between people and can determine the gambling decisions we make," he said in a university news release. In conducting the study, researchers monitored activity in two parts of the brain -- the anterior insula and nucleus accumbens -- using a technique called diffusion-weighted MRI. They found a direct connection between these two regions of the brain and noted this connection had previously only been found in animals, not people. The researchers found the thicker the insulation on these cells, the stronger the connection between these areas of the brain. They also found stronger brain connections were associated with more cautious decisions during a gambling test. For the study, the authors gave 32 volunteers $10 to gamble in a series of games with different odds or choose not to risk losing the cash. The participants were told they could keep any money they still had when the study ended. Inside an MRI chamber, the participants saw a roulette wheel as well as their odds for winning or losing. Some bets carried equal odds of winning or losing $3, while others had higher odds for winning small amounts of money or a lower chance of losing a lot of money and vice versa. As the participants contemplated their choices, the brain activity between their anterior insula and nucleus accumbens was monitored. 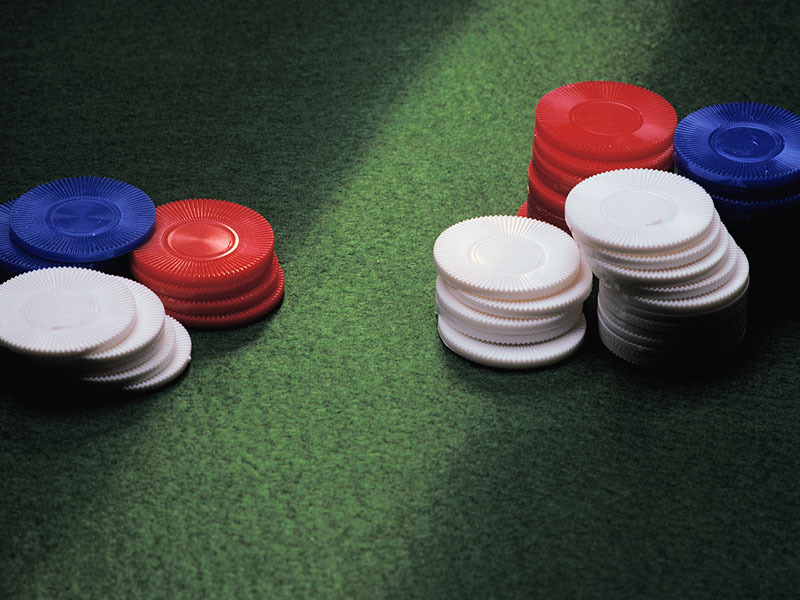 The researchers found that all gamblers sometimes make risky bets -- even those with a strong connection between these parts of their brain. When this happened, activity was reduced in the more cautious part of the brain while activity increased in the enthusiastic region, the study published on Jan. 6 in the journal Neuron revealed. This connection, the study authors explained, enabled the more careful part of the brain to inhibit activity in the more enthusiastic region. "We could predict the person's upcoming bet based on the balance of activity in these regions," said Knutson. Those with stronger, more insulated brain connections were less likely to have increased activity in the enthusiastic region of the brain when they considered placing a risky bet. Since strengthening this connection could help people make fewer risky decisions, the researchers noted this might lead to new interventions for those with gambling problems.